What Do Mary Meeker and #E3 Have in Common? What Do Mary Meeker and E3 Have in Common? Analyst Mary Meeker’s latest report on internet trends told many of those who eagerly await them something we already knew at Dell. Gaming is becoming mainstream. According to the report, there are now 2.6 billion gamers compared to just 100 million in 1995. And as the video game industry’s biggest event, E3, kicks off this week we’re there to interact with all the top gaming industry talent. So the answer to the headline question of this post is that Meeker, E3 and Dell all share a common respect for gamers, the gaming industry and the impact they have beyond what many might realize. My teammate Aundrea Grumbo, one of those billions of gamers herself, is part of the team representing Dell at E3 this week. I sat down with her before she headed out to Los Angeles to discuss some of Meeker’s findings and learn about the Dell and Alienware activities this week. Q: Meeker suggests gaming laid the foundation for much of the internet services we use today and seems to view it as the most engaging form of social media. As someone who is active in both, what similarities do you see? A: According to Meeker’s report people spend 51 minutes on average playing console games every day and 50 minutes a day on Facebook, although I may spend a lot more than that. So, there’s certainly a similar time commitment people are making. But, I think where she was going with that is more along the lines of how collaborating within multiplayer games opened us all up to connecting online with both people we know in real life and some we’ve only ever met online. Last year I worked with Chloe Grace Moretz, a fellow gamer, and she partnered with Rooster Teeth to talk about exactly this. Gaming can connect you with people around the world who have a common interest. Q: Meeker’s report shows some of the fastest growth in gaming happening in Asia – especially China and India. Does E3 draw that wide of a global audience? A: More than 70,000 people from over 100 countries participated in E3 last year, so it’s definitely a global event. In recent years E3 has been closed to industry folks only but this year they decided to reopen it to the general public. So, it gives us the chance to show both industry professionals and some of the most dedicated fans of gaming what Dell and Alienware have to offer them. Q: So what exactly will our team be showing at E3? Q: What about those who can’t be at E3? Is there a reason they should be interested? A: You don’t have to be there to get in on the action. 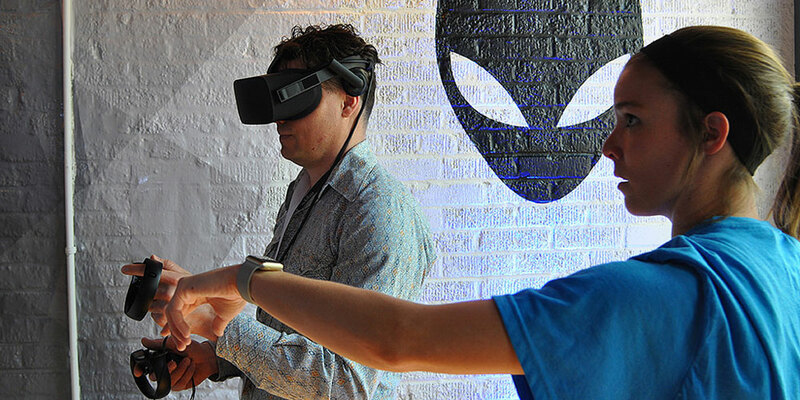 Our brand-new Alienware mobile broadcast studio will be on site providing a live platform for competitive gameplay, industry interviews and product showcases. Anyone can watch on Alienware.tv or of course join us on social media. I’ll personally be sharing my journey on my Instagram and Twitter, just follow @PMSUTPrincess or our official handle @Alienware.